ICU Security Systems are professional, licensed CCTV and Security System installers. We supply the latest technology in wired CCTV & Wireless camera Systems, Calving Camera Systems, DVR Recorders with Motion Detect Recording, Cameras with infra-red or day/night cameras with protective outdoor housing & even Wireless High Definition (HD) Calving Camera systems. Prevention of crime is best and our Remote Perimeter Security and Protection Systems are designed to keep intruders away from your buildings and form your first line of defence. 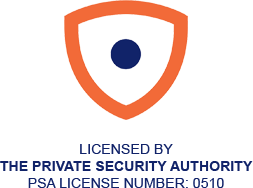 We discuss your security needs and will design a CCTV system that is suitable for your home or business. Securing premises against intruders and protecting businesses from fraud. Experts in home security systems. Automatic number plate recognition can be used in car parks, at entrances to business parks or the entrance to a premises. Integrate with CCTV camera systems for a full security package. We watch for you to prevent break-ins. Our security monitoring station is manned by experienced team. We also offer a maintenance service and upgrades of security systems. We design and install access control systems for buildings. Using the latest biometric technology or traditional fob access to monitor visitors and restrict unauthorised access. Protecting against fraudulent claims, illegal dumping and anti-social behaviour. Our clients include local authorities, councils, Garda and Government Organisations. Copyright 2019 © ICU Security Systems.